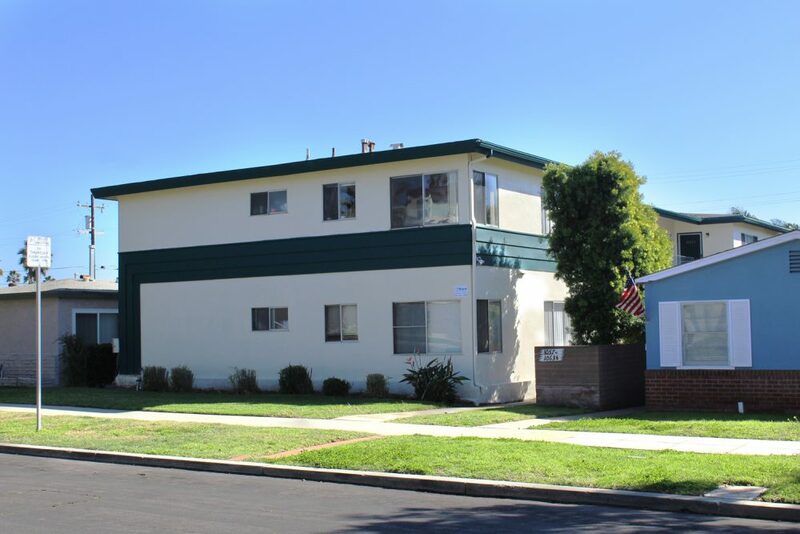 ACI Apartments is pleased to announce the recent sale of an 8-unit complex just a few blocks from the Pacific Ocean in the beautiful San Diego neighborhood of Pacific Beach, California. The 5,575 square foot property situated on a 6,250 square foot lot at 1057-63 Missouri Street, was sold by the Gruber Family Trust for $2,750,000. The seller was represented by Terry Taylor of ACI. The buyer, 1057 Missouri LLC was represented by Lauren Empey of Empey Realty. The property is located along a quiet residential street near the intersections of Missouri Street and Dawes Street. This prime location near the ocean along with trendy Pacific Beach makes this a desirable investment. Back alleyway access from Dawes Street provides private access to six off street parking spaces for residents. The location is noteworthy as it is located only four blocks from the Pacific Ocean and 9 blocks from Sail Bay. At time of sale, the property had a Cap Rate of 3.3% and a GRM of 17.51.